Finding Mary Cordial: 10 FREE Genealogy Links! Nothing drives me crazier than clicking on a link for a "Free" genealogy site and then being asked for a credit card in order to view the results of the "free" search, which is usually so vague that you're not entirely sure that the information would be of value anyway. Genealogy is already too expensive a hobby without all these fly-by-night sites trying to cash in on our curiosity. (Besides, who wants to give credit card information to strangers over the internet?) 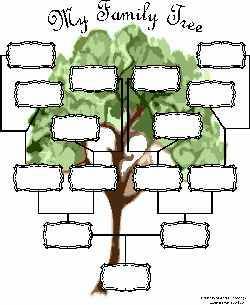 So, I've compiled the list below of truly free links for genealogists. 1. Family Search – When I first started researching, the site was not so great because it was laden with often incorrect, user-provided information. In the last three years, however, the site has been adding actual scanned church, census, and other records to its holdings. Now it's the best free genealogy web site online, hands down. After searching for your relatives by name, try searching databases by place. Most of the links are free, but some lead to sites like Fold3 or Ancestry, where you'll have to sign up for a two week trial period in order to see records. If you're diligent about canceling in time, go for it! 2. Olive Tree Genealogy – I'll admit it right up front—I love OTG because I found my 7th Great Grandfather's 1695 christening and 1725 marriage record from the Reformed Dutch Church of New Amsterdam there by happy accident. If you have early American Dutch roots, there's a whole list of resources for you! OTG also links to genealogical resources for Palatine Germans, Mennonites, Huguenots, Walloons, Native Americans; ships passenger lists; Canadian genealogical resources and much more. 3. Ray's Place New England – Let's hear it for Ray! His site, which boasts over 7,000 links, offers New England Vital records, cemetery listings, census records and much more. There are some obscure records for specific towns listed. If your family goes all the way back to the Massachusetts Bay Colony, you need to take a look at this site. 4. Castle Garden – Before Ellis Island, there was Castle Garden. If your immigrant ancestor arrived in New York between 1820 and 1913, there's a real probability that they passed through here on their way to a new life in America. This free database can be searched by name and years of likely arrival. Remember to test different name spellings, particularly phonetic ones, if you have no initial success. My experience tells me that they could be pretty creative spellers back then. 5. Ellis Island – The one, the only. So many American stories began at Ellis Island that it would be a huge oversight to leave it off this list. Ditto for what I said above about searching names using different spellings if you can't find your people. 6. Veterans Grave Lookup – Looking for a deceased veteran? Check out this helpful database from the US Department of Veteran's Affairs. I found the final resting places of two of my great grandfather's brothers using this database. 7. Civil War Soldiers and Sailors – A full database of Soldiers, Sailors, Regiments, Cemeteries, Battles Prisoners, Medals of Honor, and National Parks. I've found a few relatives by using the databases here; I hope you do, too. 8. Find-A-Grave – The people you're looking for may already be catalogued online here. Although the site leans toward "famous" interment searches, you can access a general search (topmost link on the "Actions" sidebar on the left) as a member of the site, which is free to join. If you're feeling benevolent, you could upload your own memorials/pictures and help out other researchers looking for the same family. Maybe you'll meet a nice cousin or two as a result. 9. Free Federal Censuses – You don't need a paid subscription to peruse these! Click here for 1880 , here for 1930 and here for 1940. 10. Free Genealogies on Internet Archive Search – Wait—don't pay good money for a reprinted genealogy! Check Google Books first; most of the genealogies are free there. If the one you need isn't free but is more than 75 years old, mosey on over to the Internet Archive and run a search on the book's title. Chances are, it's there and it's free! You can also search specific terms such as "Jones Genealogy" and see what unknown digital treasures have been lying in wait for your review. Have I missed anything? Please leave a link to the cool free site you use in the comments below! Ancestry.com Contest -- Enter Now!